TGx:Details for torrent "[Team-FCW] Install Wordpress on a VPS - A Step by Step Guide"
Torrent details for "[Team-FCW] Install Wordpress on a VPS - A Step by Step Guide"
Find out how to install Wordpress on a VPS (Virtual Private Server), setup a LAMP stack and configure a Wordpress site. 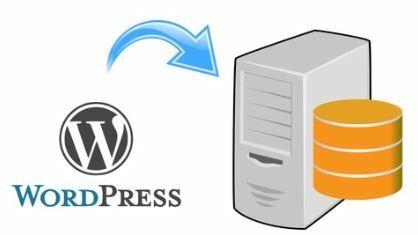 In this Wordpress course you'll learn how to install Wordpress on a Virtual Private Server from start to finish. It is recommend you are: familiar with Wordpress and have a basic Linux understanding. You can use any VPS you like (ideally running Ubuntu), the course itself uses a VPS running Ubuntu 16.04 with Digital Ocean - getting started with this setup is covered first of all in the course. Next, you'll learn how to install and setup a LAMP stack consisting of Apache 2, MySQL and PHP. Then a MySQL database for Wordpress is setup, followed by Apache 2 and PHP tweaks for Wordpress. The course then moves on to installing the Wordpress files from scratch by downloading the source code; extracting and configuring the file system correctly (Linux file permissions and ownership); and, finally the Wordpress script (wp_config.php) is configured correctly. Lastly, the course covers the front-end web interface install steps for Wordpress and basic Wordpress site configuration.